Congratulations to Rhodri Cole who was chosen as the Neath Rugby Supporters Club Man of the Match following the Llandovery game last weekend. Rhodri had a fine game at scrum half on an otherwise disappointing day for Neath. We’re sure it won’t be the last award Rhodri picks up as a very promising future awaits him. 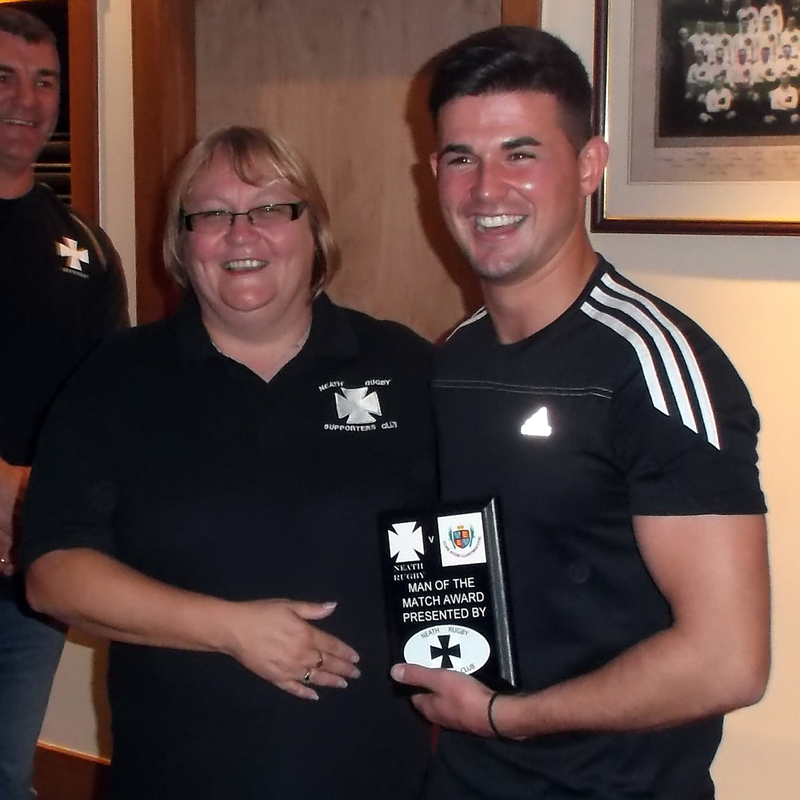 This entry was posted in News and tagged Gnoll, Man of the Match, Neath, Neath Rugby Supporters Club, Rhodri Cole. Bookmark the permalink.